Easy Wear Period Pain Menopuse pain. " 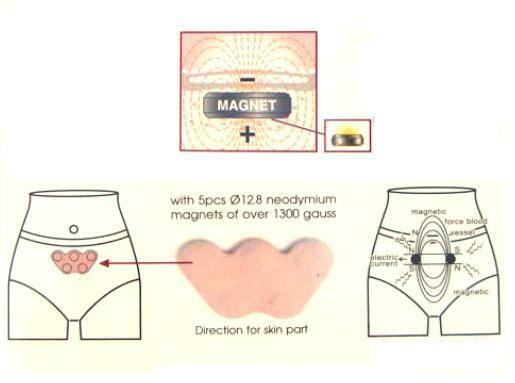 Great feedback with this product "
Booster Menopad Soft Touch With 5 Strong North Facing Magnets to help with period pains This pad is to used over the ovaries sitting between you underwear and skin. fixed in place Velcro back then soft side facing your skin for comfort. Customers report back some relief from stomach pain and gives a feeling of warmth and improve energy levels. Also worn by ladies going through the menopause.